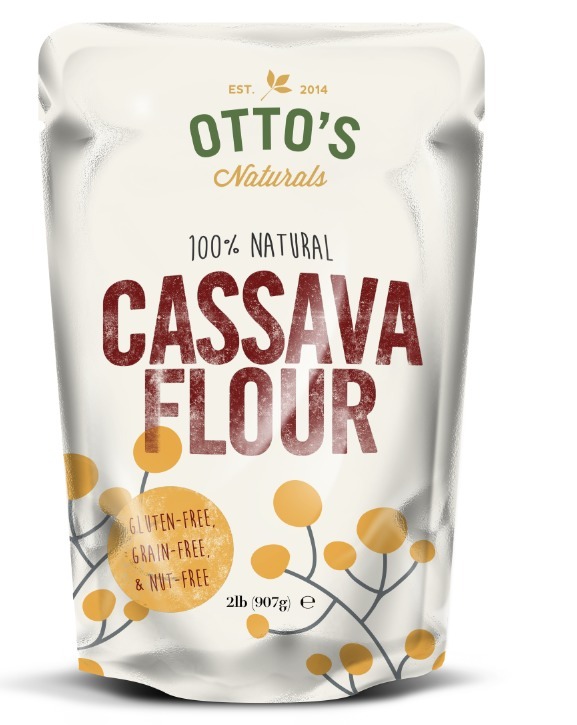 Have I mentioned my love of Otto’s cassava flour yet? I can’t rave enough about this flour. Otto’s subs 1:1 for wheat flour and makes the best tortillas ever. I can’t eat the traditional grain free flours, so I was more than excited when my first bag of Otto’s arrived. It’s seriously a miracle flour, a total game changer. Most grain free & gluten free flours are tasty, but you still know you are eating gluten free. Otto’s just tastes and feels like the real thing. It’s awesome. Really. Check them out here. Any type of nut butter can be used in this recipe. I make them with organic peanut butter, but any paleo friendly nut butter is good. I can tolerate peanuts and not tree nuts, so peanut butter it is. If you choose sun butter know that you may end up with green cookies. Science does some really cool things. The chlorophyll in the sunflower seeds reacts with the baking soda/powder and makes it change color as it cools. Intriguing huh? Dough will be very moist, but not wet. It can easily be rolled into cookie sized balls. If you need to save some time you can use Peanut Butter & Co. Cinnamon Raison Swirl Peanut Butter. If you haven’t had it, you need it NOW. That peanut butter is what I imagine crack to be like, but better. I’ve used it for these cookies, but I reduce the sugar by at least a 1/4 cup because it’s pretty sweet already. I love chowing on cookies straight from the freezer and these babies freeze so well! I usually make a big batch, eat a few, and put the rest in the freezer for a later time. It’s nice having them on hand for when the mood strikes, but I admit that I have to hide them at the bottom of the deep freeze or I would eat them all. I do what I have to do. My stomach has no stopping point and it’s really easy for me to down way more than I need to. Especially when it comes to cookies. No self control. None. Enough chatter. Let’s eat some cookies! Soft, chewy, slightly crumbly cinnamon raisin loveliness in cookie form. Cream nutbutter and sugar with stand or hand mixer until fluffy and well combined. Add vanilla, salt, cinnamon, baking powder, & baking soda. Mix until combined. Add flour and mix dough until small balls/crumbles form. While mixing, slowly add water until the dough comes together. It will be moist and tacky, not wet. Add a little bit more water if needed. Roll dough into small balls (approximately 1 inch) and place on parchment lined cookie sheets. They will expand so leave room between them. Flatten cookies with a fork, forming a criss cross pattern. Bake at 350 for 12-14 minutes. Let cool before removing.